It’s a well known fact that celebrities lead very public lives. Whether they try to keep their privacy or not, their every move is exposed to people all over the world. And if they like sharing their lives with their fans on social media, then they have to consider the fact that some people won’t be on board with what they’re doing. 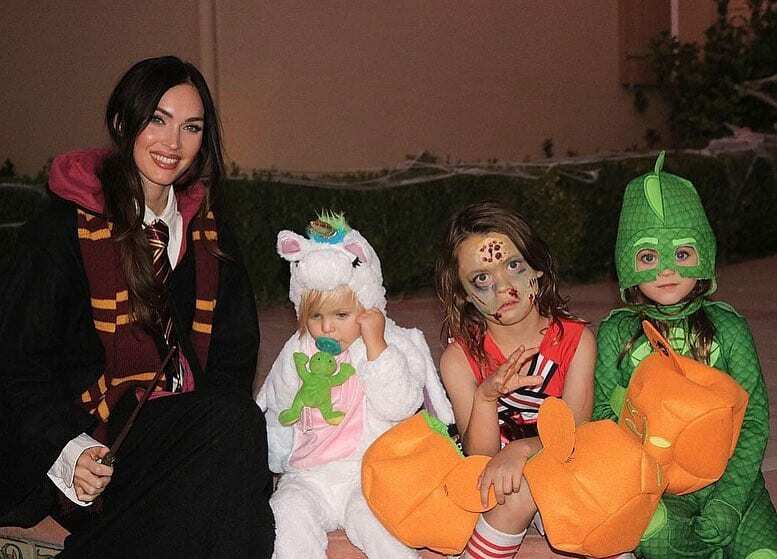 Celebrities are already used to getting some backlash for pretty much everything they say and do on social media, but Megan Fox never expected a simple photo of her kids on Halloween to cause such an strong reaction from her followers. There’s a high chance that you don’t have to Google Megan Fox to know who she is. One of the biggest stars of Tinseltown, this model and actress has been in the game for nearly two decades – and it’s safe to say that she’s built up an impressive fan base. Because of this, she has racked up a whopping 6.3 million followers on Instagram. While many of these people couldn’t help but double-tap the recent photos of her son on the social media platform, there were other people on the internet who had some questions. 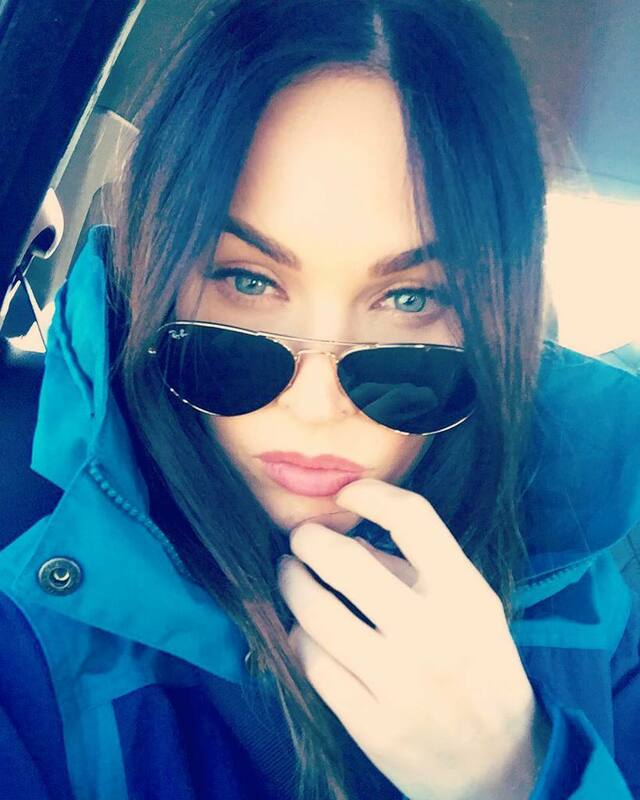 Like with many celebrities in the world of Hollywood, Megan Fox has managed to cause a storm on social media. Her sultry selfies, her envy-inducing vacation snaps, and her rare family photos have kept fans scrolling through her feed, and they look forward to the day that she posts another peek into her fabulous life. When Megan posted a photo of all three of her sons for the first time ever, dressed up in costumes – fans just couldn’t keep their comments to themselves. They had to say something. 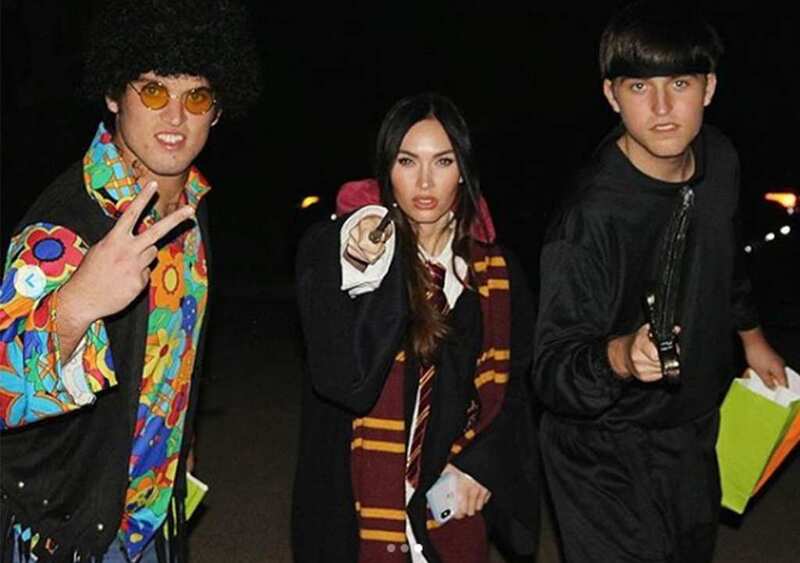 Like many other celebs, Megan Fox decided to celebrate Halloween with her friends and family. She posted a selection of photographs just a few days after the spooky holiday to show off her dress-up skills. If you spend all that time picking out the perfect costume, why not show it off, right? She had decided to embrace the magic with her Harry Potter-inspired outfit, complete with robes, a Gryffindor scarf, and a wand. Brian decided to show off his flower power in a groovy ensemble, and Brian’s 16-year-old son from a previous relationship donned a wig and props to show off his personality. However, it was her children that really stole the show. Since so many celebrities dress up for Halloween, Megan Fox’s picture didn’t seem too different to begin with. She seemed proud to show off her adorable sons as she donned her Harry Potter robes, and we can’t see why she would want to hide just how cute and creepy they looked. Her oldest son, Noah, dressed as a zombie cheerleader, which may have been a reference to his mother’s appearance in the horror movie, Jennifer’s Body. 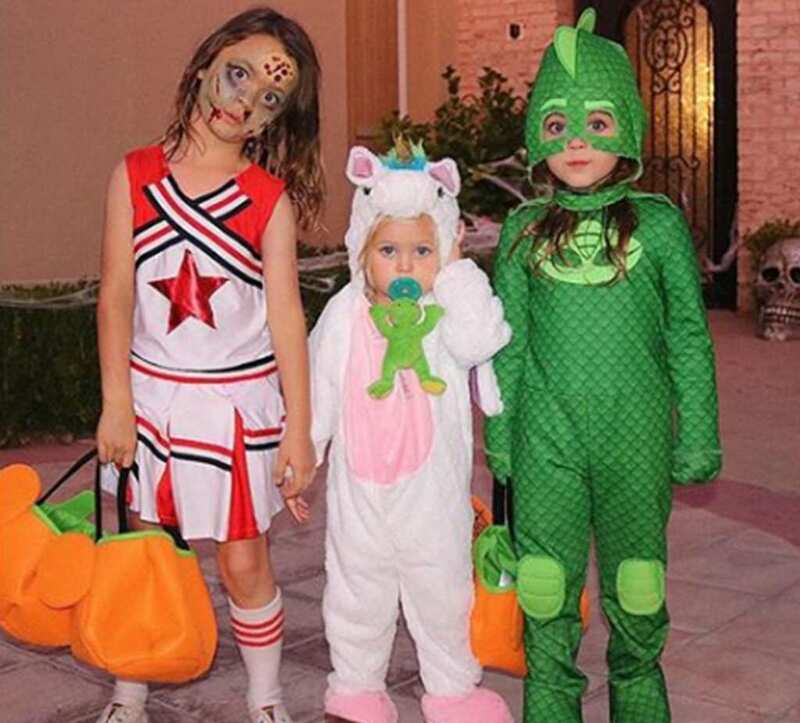 Her middle son, Bodhi, dressed as Gekko from the children’s show, PJ Gekko, and her youngest son, Journey, dressed as a unicorn. 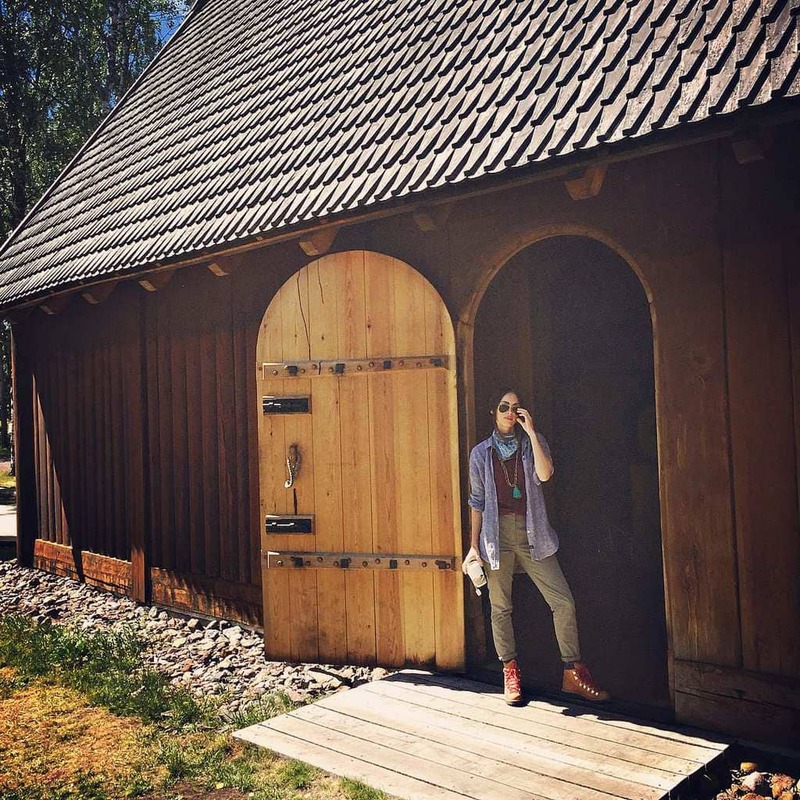 But this set of pictures ended up stirring major reactions from her followers. When Megan posted this snap of her sons dressed in their adorable and creative Halloween outfits, she had no idea that she would be inundated with criticism and comments from people around the world. It’s not hard to see just how cute Megan’s son looked in their costumes, despite the fact that they were supposed to be scary for the spooky holiday. Many fans took to Twitter to talk about the photo, and they couldn’t get over how beautiful her children were – which is not very surprising, given she’s one of the most beautiful women out there. But as it usually goes when it comes to social media, not everyone was happy. So what was it about Megan’s picture specifically that had people all riled up? What could be wrong with a simple picture of children dressed up for Halloween? Well, there was one aspect in particular that some people couldn’t get on board with, and felt the need to comment about. Although many people commented on how adorable these kids looked in their costumes, there was also a large number of people who had questions for the actress. Many of them were confused because they thought Megan had three sons, but judging by their appearance, they thought Noah, Bodhi, and Journey looked more like young girls, with their long hair and their costumes. In fact, some fans just couldn’t hold in their thoughts. 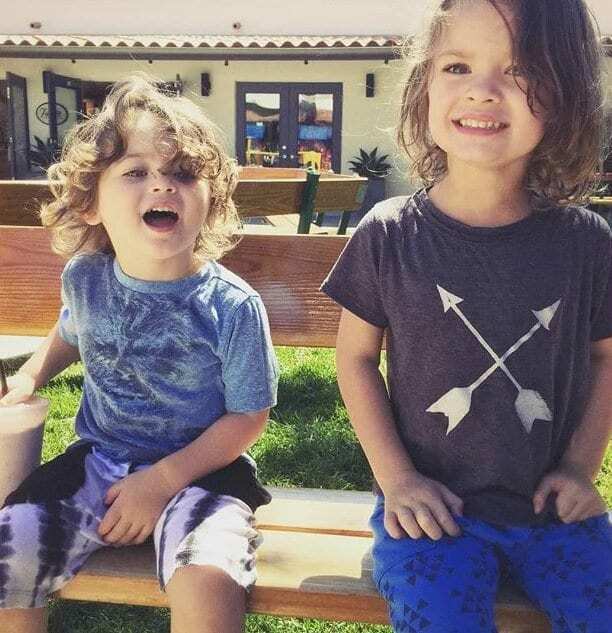 They rallied on social media in the hundreds to call out the actress for letting her sons wear skirts, wear their hair so long, and embrace such a feminine look about them. They wrote comments such as “They look like daughters,” and “I legit had no idea they were boys by looking at the picture!” This isn’t the first time Megan has been inundated with comments like these before. In the past, her parenting skills have been called into question. 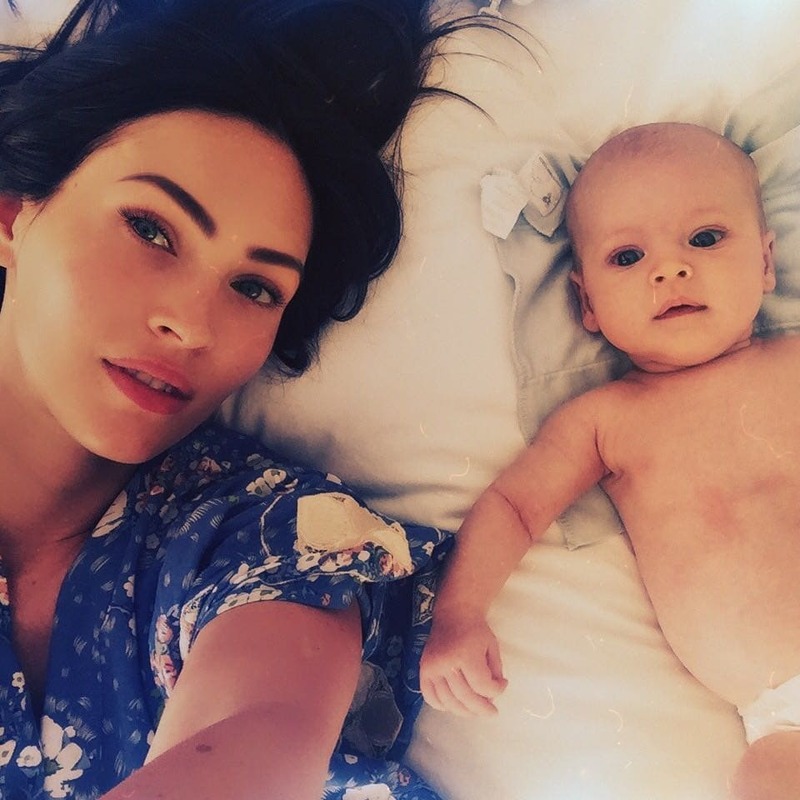 Although Megan doesn’t post photos of her kids on social media very often, she occasionally gives fans a sneak peek into her life and her family. In the past, she has posted photographs like this one on Instagram, to show off just how proud she is of all of her sons. However, every snap like this is filled with comments from critics who do not believe young boys should have long hair. They believe boys should have short hair, and girls should be the only ones with long hair. Although we wish this was the end of her criticism, it’s just the start. In August 2017, Megan came under fire after the paparazzi took photographs of Megan and her sons wandering around the streets near their home. Although there seemed to be nothing unusual about this photograph, critics were keen to point out that Noah should not have been wearing a dress, reminiscent of Elsa’s dress in the animated movie, Frozen. They called out the mom for breaking traditional gender roles and disrupting society. They then noted that she was not parenting properly. Thankfully, this photo was not just met with criticism. Many fans came forward to protect the actress from the horrific words of others. They wanted Megan to know that they supported her decision to allow Noah to wear whatever he wanted, whether that was a dress or not. It’s the same when it comes to their long hair. Although Megan has rarely spoken about her children in the media, many fans believe that she simply allows her children to dress and look in the way that they want. She’s not pushing anything on them. After coming under fire for the 2017 debate, it seems as though Megan preempted the fact that her Halloween photo would be misunderstood by her critics. Her zombie cheerleader son was wearing a skirt, and all of them had long hair. This may be why she decided to turn off the commenting feature on her Instagram post, which meant that there was no way that fans could spout their opinions. This just shows once again that she doesn’t care what anyone thinks. She’s going to allow her kids to express themselves in any way they want. Thankfully there are others out there who are on Megan Fox’s side who will support her and back her decision to let her children dress how they please. Her husband has also responded that he doesn’t care if people don’t agree with how his son dresses. 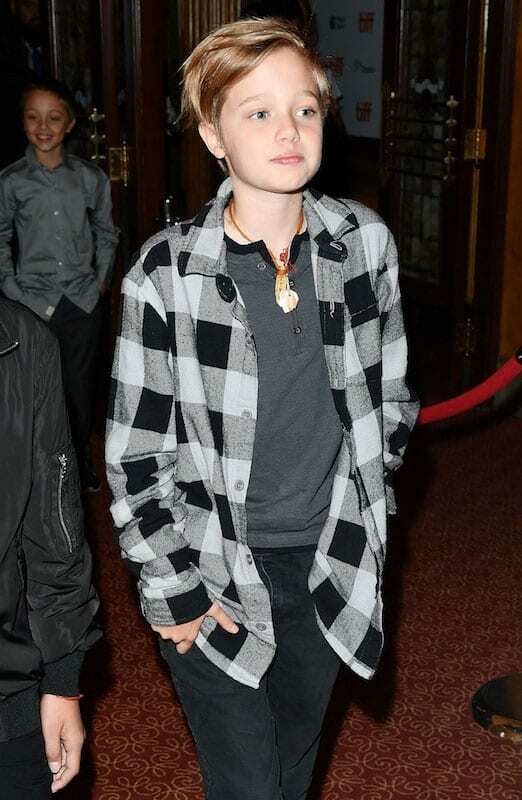 Brian Austin Green understands that his kid is very young and will dress however he wants. Megan agrees, saying that childhood is a time to play and have fun and not worry about things like what you wear. For many fans of Megan Fox, this has just made them love her even more. Not only does she choose to keep her kids away from the sometimes toxic events of Hollywood and celebrity life, but she also defies traditional gender norms in the process. In a world where things are constantly changing, many people see her as a role model for the modern-day parent. However, we bet she had no idea just how big the conversation surrounding this photograph would become when she posted it in November. What a spooky time it was. Now that Megan has showed the world that she does not care what they think about her parenting skills or her kids, we have to wonder how this will affect her place on social media. Will she continue to shy away from the social media platforms and leave her kids in the real world where they can’t be judged? Or will this Halloween photo change the tides and give her the courage to ignore the haters and prove that she is allowing her kids to form her own path? Only time will tell. Megan herself went through quite a journey to get to where she was herself. 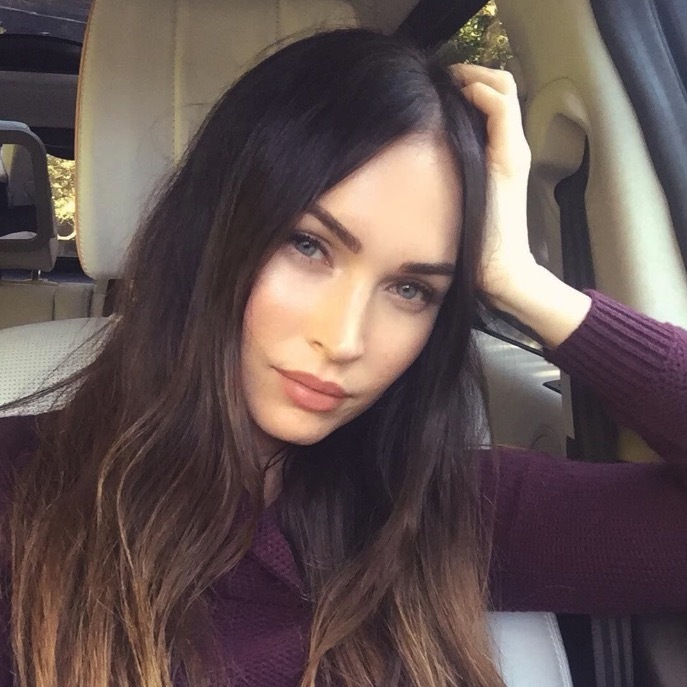 Megan Fox knew from a young age that she wanted to be an actress, but she also knew from a young age that she wanted to find one man to settle down with. She was raised in a Pentecostal home, and she has since carried these religious beliefs into her adult life. Because of this, she has often contradicted the notion that she is one of the most appealing women in Hollywood. While many men and women admire her beauty and her sensuality, Megan has largely been with the same man for all of her adult life. When Megan was just 18 years old, she was offered a role on the famous sitcom, Hope & Faith. 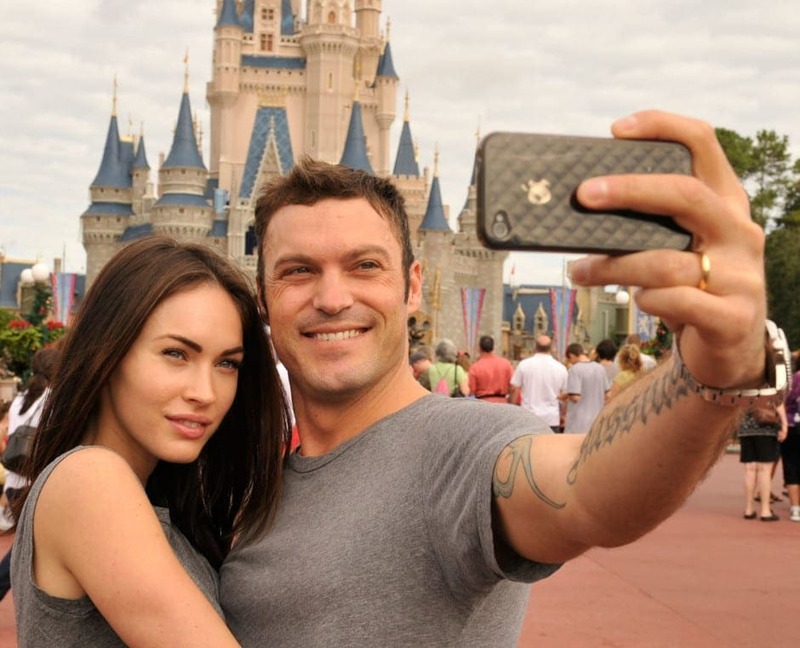 It was on the set of this television show that she met Brian Austin Green. Megan hit it off with the actor straight away, despite their 12-year age gap. They soon started dating, and two years later Brian had got down on one knee and popped the question. However, personal circumstances meant that they called off the engagement in 2009. This wasn’t the end of their relationship, though, as this was the start of their on-and-off relationship. After Megan was targeted as one of the victims of the infamous “Bling Ring” crime ring, the traumatic experience seemed to bring Megan and Brian back together. By 2010, they were engaged again, and they tied the knot in June that year. Of course, their marriage was not without struggles, and Megan filed for divorce in 2015. Fans of Megan might be a little confused, though, because Megan and Brian are married today. That’s because just a few months after their separation, they got back together, and have been together since then. Over the course of their on-and-off relationship, Megan and Brian have bought three wonderful children into the world. Noah Shannon Green was born in 2012, Bodhi Ransom Green was born in 2014, and Journey River Green was born in 2016. The couple have largely tried to keep their sons out of the limelight, and we have rarely been able to see them out in the open. 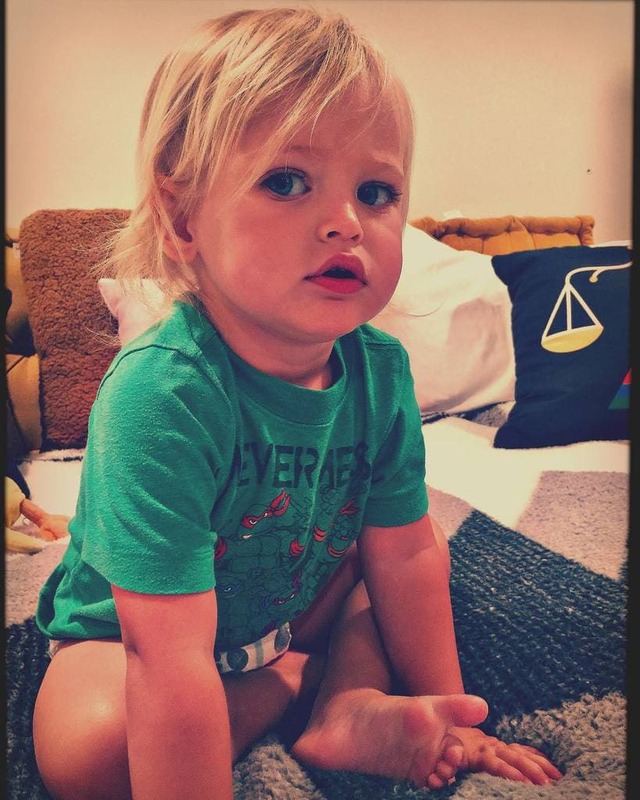 On the odd occasion, Megan will post adorable snaps of her sons on Instagram, but she’s never posts photos of them all together until that day in November. 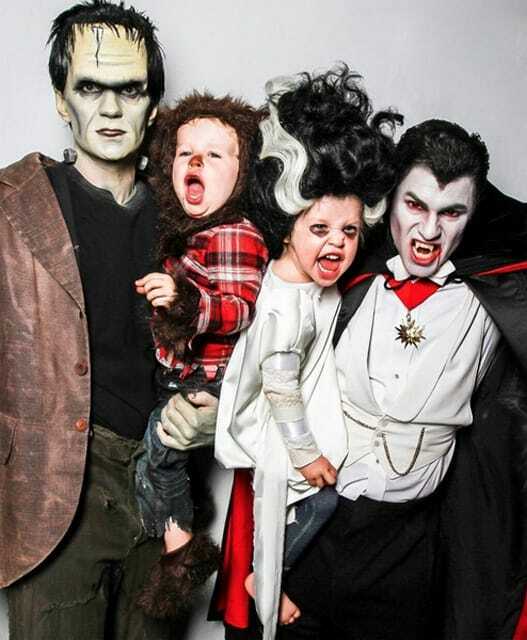 She isn’t the only celebrity, however, who’s posted adorable Halloween pictures with their kids. A few years ago, Celine Dion proved that her heart wouldn’t go on, because her zombie son looked as if he was ready to pounce! 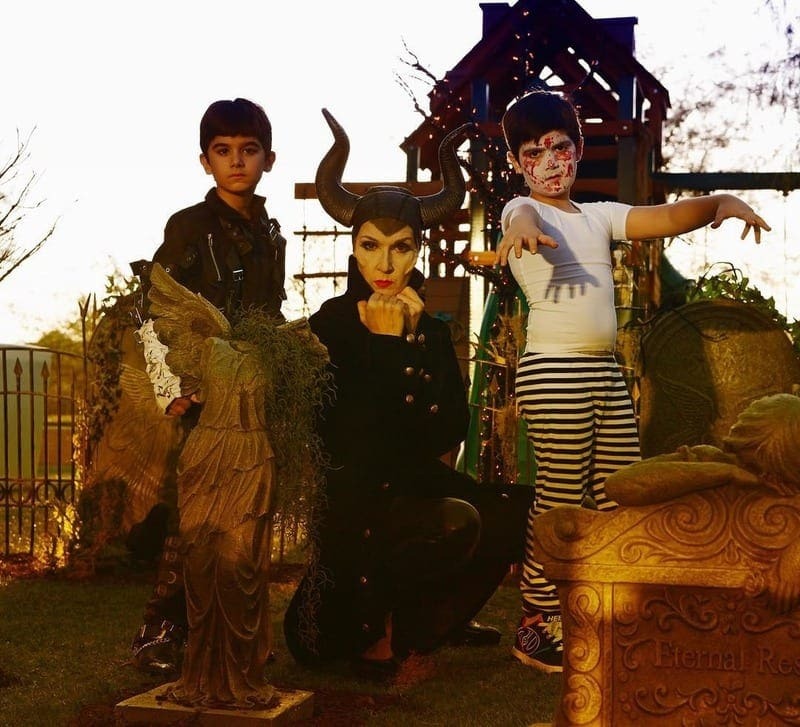 After making their backyard into a graveyard for the night, this family dressed up in their best costumes to take this awesome snap. Celine has pulled her cheekbones out of the bag to become the evil Disney villain, Maleficent, while her twins have become Michael Jackson and a zombie. We think they won Halloween with these costumes, and we love the effort that has been put into it. Is this not one of the most adorable photographs in the world? 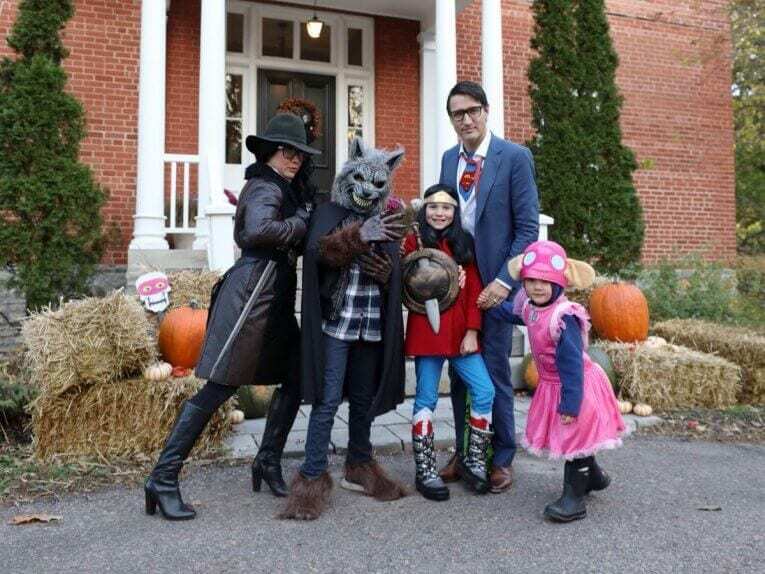 Justin Trudeau may be the Prime Minister of Canada, but that doesn’t stop him from celebrating Halloween with his family. These guys posed for an awesome family photo, and Justin won us all over with his interpretation of Superman/Clark Kent. The similarities are simply uncanny. Alongside this, he decided to chill out with a werewolf, Wonder Woman, a detective, and a little pink mushroom. Of course, no Halloween photo would be complete without pumpkins too. If you keep up with popular culture, you’ll know that Halloween is exciting for two reasons. The first reason is that you get to see everyone dress up in their costumes, but the second reason is that you get to see Neil Patrick Harris and his family dress up in their costumes. These guys have built up a reputation for themselves as Halloween winners, and their costumes just seem to get better and better every single year. On this occasion, we got the chance to say hello to Frankenstein’s Monster, Dracula, and their two adorable (yet slightly scary) children. Beyonce doesn’t have to do a lot to break the internet, as it seems as though every Instagram post immediately racks up millions of likes. 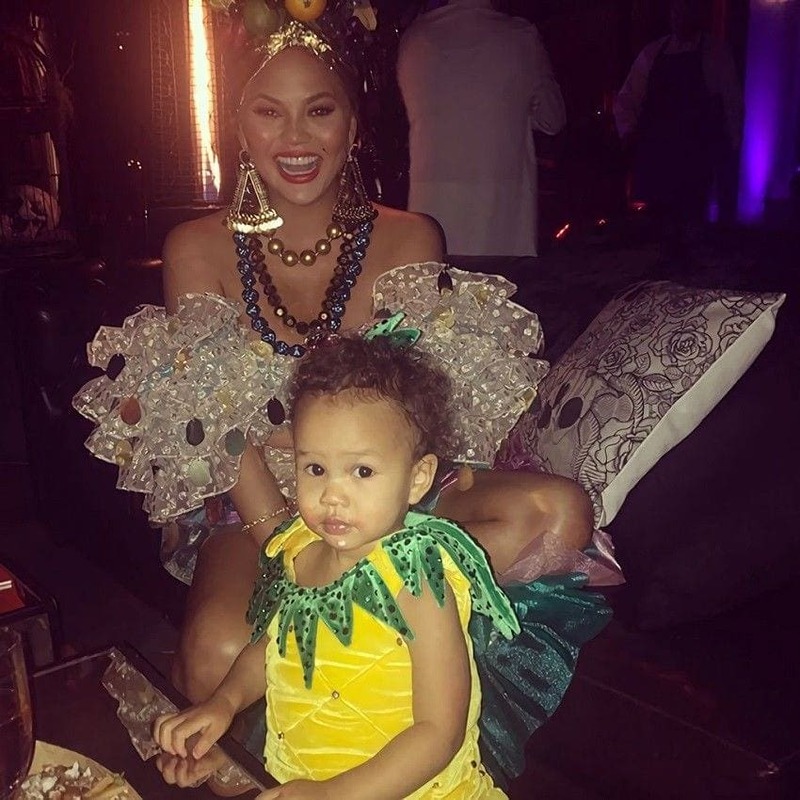 However, it’s safe to say that she amassed even more likes when she posted this photo of her Halloween costume with Blue Ivy. Beyonce has made it her mission to dress as famous icons every single year, and this year they decided to go for the Jackson family. Queen Bey herself dressed up as Janet Jackson, while Blue Ivy stole the show as Michael. She’s even rocking the white glove. 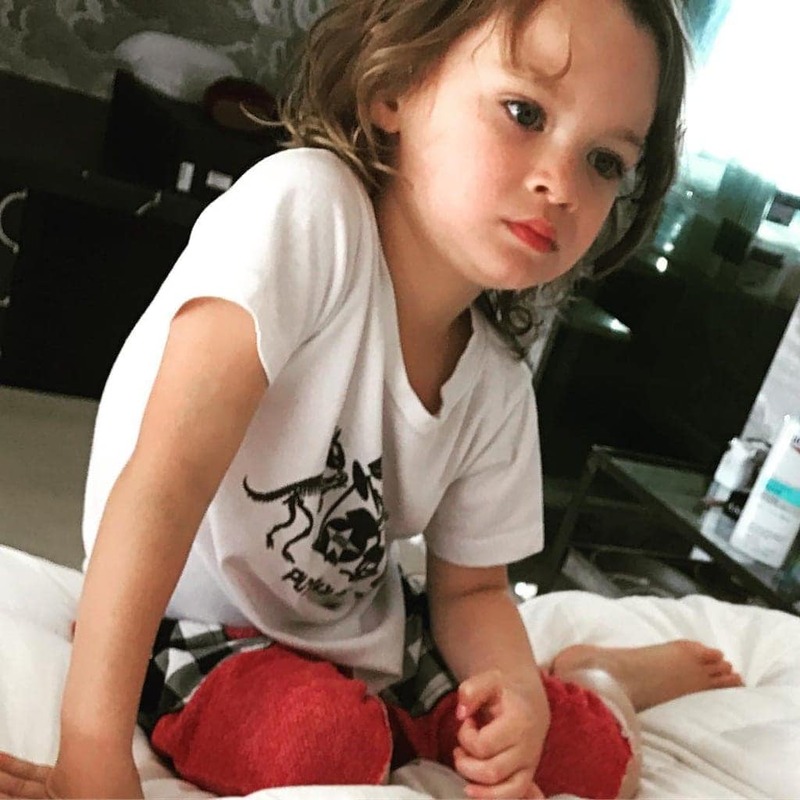 Chrissy Teigen and John Legend seem to make the most beautiful babies in existence, and the world is slowly but surely falling in love with Luna and their newest addition, Miles. Yet, before Miles made his way into the world, all eyes were on Chrissy and Luna to bring their Halloween A-game. They certainly did this with their outfits, because who doesn’t want to dress up as a pineapple on one of the best days of the year? Chrissy wowed in the back with her Carmen Miranda ensemble. Will they ever top this outfit? As sad as it is, mom-shamers are becoming a bigger and bigger thing in the world today. You don’t have to be a celebrity for this issue to be prevalent, but we certainly hear more about them when the person involved is famous. A huge example of someone who is constantly mom-shamed is Chrissy Teigen. It shows that even in the most difficult times in the spotlight, those like Megan Fox are not alone. Hopefully some day, mothers will be able to raise their children however they see fit. There were two main things that people chose to attack Chrissy Teigen for in regards to her parenting techniques or skills. It seems like people have no shame in shaming others, even on something as natural and personal as motherhood. It really makes you wonder how much time people have on their hands. One thing that people shamed her for was that she was feeding her son with a bottled formula as opposed to breast milk. Teigen shut down the shamers and kept being as lovely as ever. 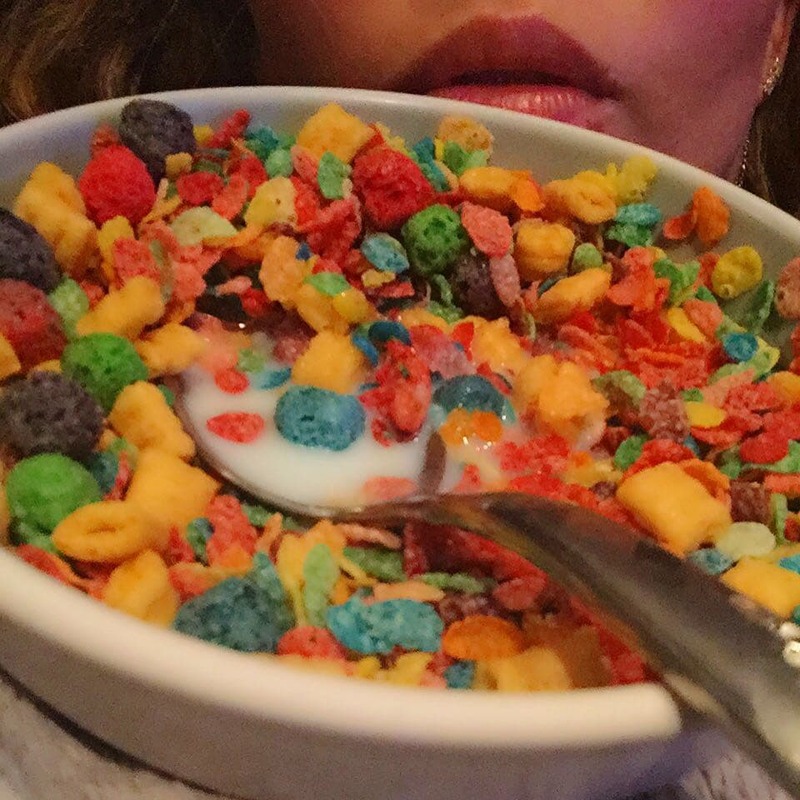 The other time internet haters had it out for Chrissy Teigen was over a cereal debacle. She posted a picture of herself posing with a bowl of cereal. The model couldn’t choose between Cap’n Crunch and Fruity Pebbles, so she decided she wanted both and combined the two. Little did she know, her craving would have some backlash because she was pregnant at the time. People claimed she should not be eating sugary and dyed food while carrying a baby. It seems mom-shaming starts before the babies are even born. A story that is a bit similar to that of Megan Fox’s is the one of Shiloh Jolie-Pitt. 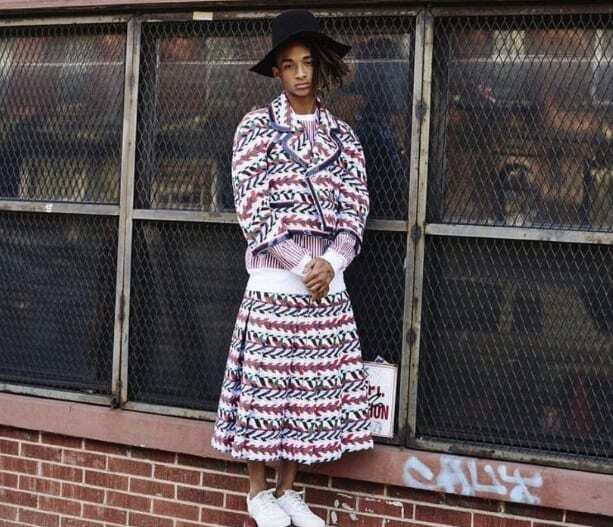 This young lady decided from a young age that she prefers to dress more like a boy than a girl. Angelina Jolie and Brad Pitt were highly supportive of their daughter making her own decisions. While critics came out of the woodwork to call this weird, many celebrities jumped in to defend the youngster. Though Shiloh is much older than Fox’s kids, she also prefers dressing in the opposite gender’s clothes. One important thing to keep in mind is that children usually don’t see gender, color, and age as much as adults do. They are more pure than grown ups because society hasn’t had a chance to affect them yet. This means that if a boy wants to wear a dress or a girl wants to wear a suit, it might just mean that it’s because they liked it and didn’t see a problem with it. Even if they do end up doing this later in life, why mom-shame over it? In the end, it seems like Megan’s young son simply likes the movie frozen. Sometimes girls like movies that are stereotypically boyish, so why can’t boys like princess movies? That seems to be the reason he chose to wear a Frozen Elsa dress. In fact, it’s not so rare for young boys to enjoy the film. Charlize Theron’s boys have been seen wearing similar outfits while out an about, along with tutus. This brings us to our next point – girls and suits. A trend that has been forming over the last several decades is the idea of power suits. While men are known to own multiple versions of this outfit, women have been shamed for wanting one (or more) of their own. Who’s to say a lady can’t have an awesome power suit? Think about it, Ellen Degeneres rocks these all the time and is making them more and more popular to break down gender stereotypes in clothing. In fact, singer Pink fully supports her daughter’s decision to wear one. As the son of Will Smith and Jada Pinkett-Smith, he has been in the spotlight since birth and he uses his time there to become a fashion icon. Smith tries to focus on gender neutral clothing so that those females who wish to dress more “masculine” and those males who wish to dress more “feminine” feel comfortable and safe in their own skin. At least these two have decided not to let the haters get to them. 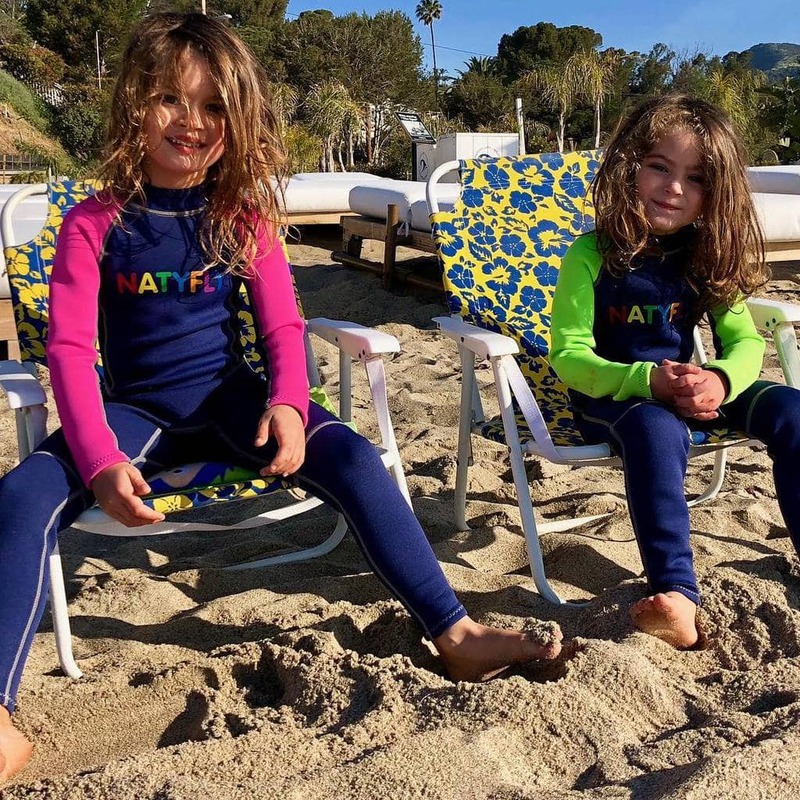 There is one thing for certain, whether their sons decide to dress like boys or girls, they are going to be some good-looking heartbreakers when they get older. 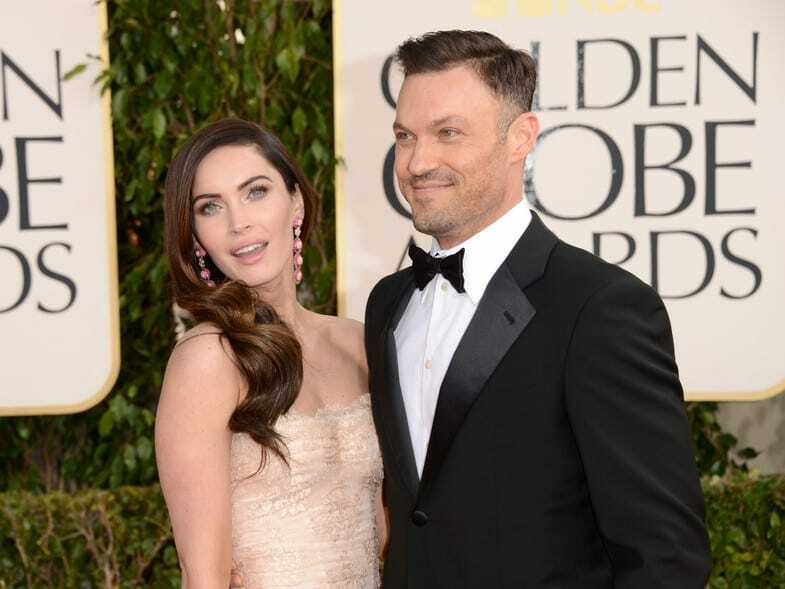 After all, their mother is Megan Fox, and their dad is Brian Austin Green. For now, however, it seems like these parents want to let their kids be kids and not worry about something like a boy wearing a dress. Why do people eat candy during exercise?